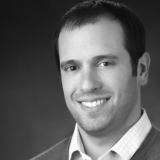 Adam Tanner is one of Waggl’s co-founders and he also is the head of product management. Adam works closely with key clients such as Paychex, McGraw Hill, Children’s Health and MGM Resorts. Adam has lead several platform enhancements, including detailed Manager Reporting and custom dashboards, while maintaining Waggl’s simple, yet sophisticated, user experience. Before Waggl, Adam was the Director of Product Management at Fort Hill Company, an industry leader in web-based learning activation solutions. Adam also managed the Quality Assurance dept. Adam served as Mentor Administrator for AmeriCorps VISTA (Volunteers In Service To America), a national service program that works to eliminate poverty.